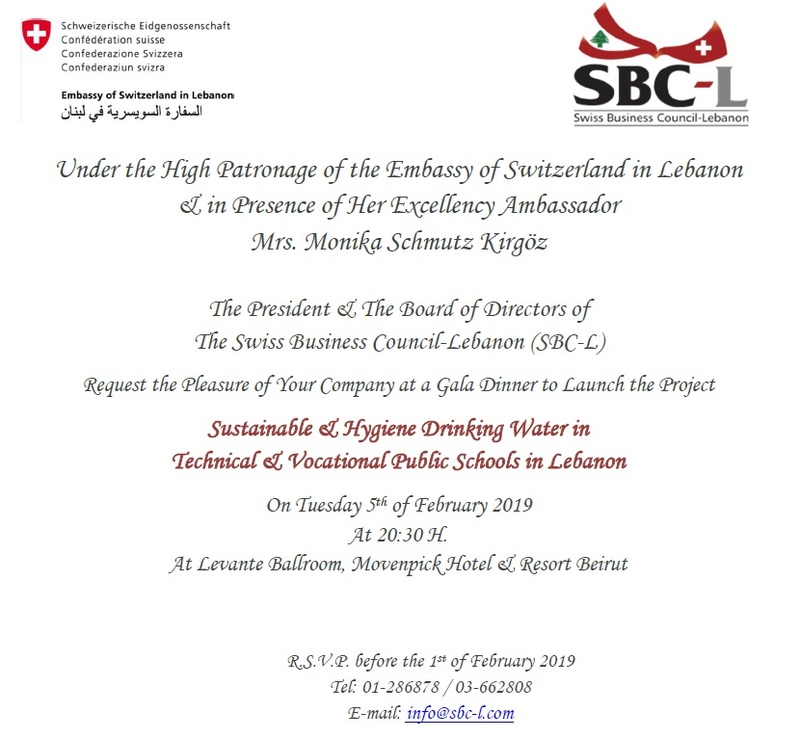 On Tuesday February 5 2019 the SBC-L held a gala dinner to launch their project to ensure sustainable & hygiene drinking water in technical & vocational public schools in Lebanon. The event was under the high patronage of the Swiss Embassy in Lebanon and in presence of H.E. Ambassador Mrs. Monika Schmutz Kirgoz, as well as H.E. Minister of Environment Mr. Fady Jreissati; H.E. former Minister of Social Affairs Mr. Pierre Bou Assi; General Director of TVE Mrs. Salam Younes and many distinguished guests and members of the SBC-L.